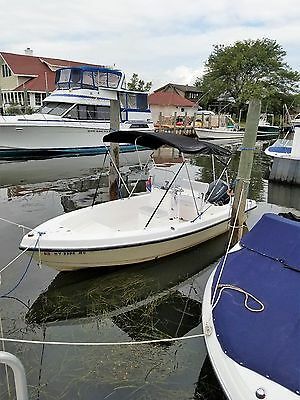 1996 Yamaha 70 HP 1996 770 HP YAMAHA COMPLETELY REBUILT. BORED 20 OVER ALL NEW BEARINGS, PISTONS, RINGS. COMPLETE WATER PUMP. NO OIL INJECTION. 20" SHAFT. POWER TILT & TRIM. 6 MONTH WARRANTY ON INTERNAL PARTS. 30 DAY WARRANTY ON COMPLETE MOTOR. TRADE INS WELCOME. CONTROLS AND PROP MAY BE AVAILABLE. 2002 Yamaha 70 HP 2002 70 HP Yamaha. 20" shaft. Power tilt & trim. Fully serviced. New paint and graphics. Completely rebuilt. New crank, pistons, bearings. Carbs rebuilt. New water pump. Lower unit pressure tested and new oil. 6 month warranty on internal parts. May have prop and controls. Shipping or installation available. Trade ins welcome. 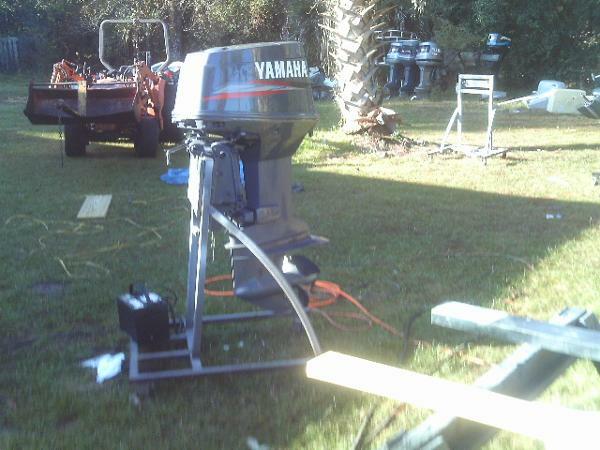 1999 Yamaha Outboards 70 HP 1999 70 HP YAMAHA COMPLETELY REBUILT. BORED 20 OVER ALL NEW BEARINGS, PISTONS, RINGS. COMPLETE WATER PUMP. 20", POWER TILT & TRIM. 6 MONTH WARRANTY ON INTERNAL PARTS. 30 DAY ON COMPLETE MOTOR. TRADE INS WELCOME. CONTROLS AND PROP MAY BE AVAILABLE. 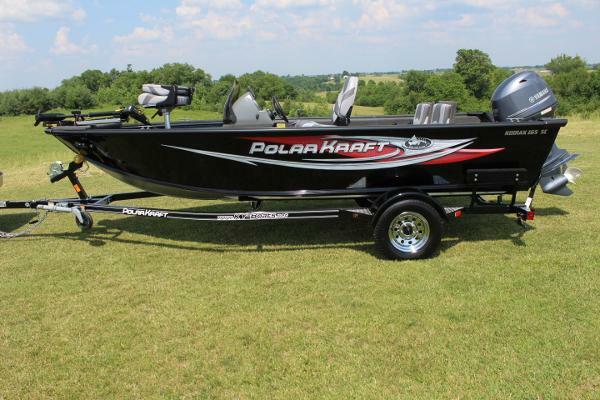 2015 Polar Kraft Kodiak 165SC w/Yamaha 70hp 16'4" High gloss Black urethane paint and grey interior. All new design with 2 rear built in jump seats that fold down into the rear deck! Great design. Upgraded fishing seats, with an extra casting seat, Minnkota Edge 45 lb. thrust 12 volt trolling motor, Lowrance X4 Pro fish finder, bow aerated 25 gallon live well, 16’4” long with 80" beam. Approximate Wet Weight 1287 and 12 gallon fuel tank. Really nice Yamaha 70hp EFI 4 stroke motor with great reliability. Upgraded trailer, painted to match with chrome wheels, matching spare, swing away tongue, LED lights and radial tires. $19,950. Currently offering free freight, free dealer prep and a free factory cover. Have a trade in? We need it! 2007 17' Angler Center Console. This boat is in EXCELLENT Condition. Just had it tuned up, brand new gas lines, primer bulb and bilge pump. It has a newer single battery. There is room for a second should you want it. It has ample storage on board. A bimini top in excellent condition. It is stored in a dry land boat rack storage with wash down and wash out after every use. Everything on the boat works with one minor exception, the tach is stuck. Notice in the photo you can see that. Nothing to hide. Runs great, rides great, low draft with enough hull to cut as needed. It has a 4 person capacity with rear, helm and front seating. It does come with a 2009 Tidewater single axle trailer. Title for the boat is clean and ready to go. There is no paperwork for the trailer however it will come with a bill of sale. Trailer is in excellent condition as well. Great package, low cost, bullet proof motor, very clean, ready to go. I also have 2 very recent videos of the motor running, spitting water and tilting. eBay won't let me post them. Message me if you want them emailed to you. I do have boat title in hand and it is clean. The trailer has no paperwork but I have the Bill of Sale from the original owner made out to me and than I will in turn give one. Also comes with a Lowrance Elite. I believe it's an Elite 5 series. Still have original box. Works perfectly. 1988 Funjet jet boat. 70hp Yamaha motor. For sale is a nice Funjet jet boat.This has a 3 cylinder 70hp Yamaha engine.This boat is 10 feet 7 inches long.It comes with the original trailer.Has a new battery.This has been in storage for 14 years.Was taken out of storage and carbs were cleaned.Starts and runs good.Interior is in good shape as seen in pics.This is sold as is. 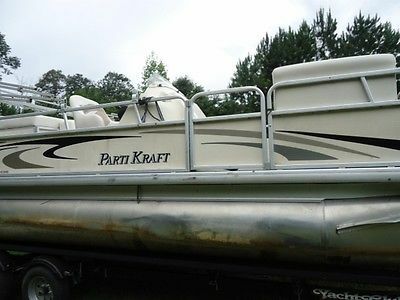 2006 Parti Kraft Pontoon powered with a Yamaha 70HP TLR TRAILER NOT INCLUDED!!! This pontoon is water ready right now! You can be on the lake this afternoon!!!!! Call Dawn for more info at 770-537-4883. 5,000 plus tax! 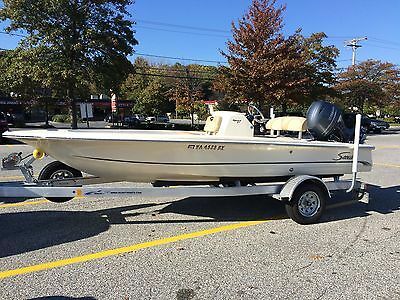 2006 Parti Kraft Pontoon powered with a Yamaha 70HP TLR TRAILER NOT INCLUDED!!! This pontoon is water ready right now! You can be on the lake this afternoon!!!!! Call Dawn for more info at 770-537-4883. 5,500 plus tax! 2014 Triumph 1700 Skiff BEST BOAT !!! GREAT RIDE !$ WAS $26,995 l ON SALE NOW! 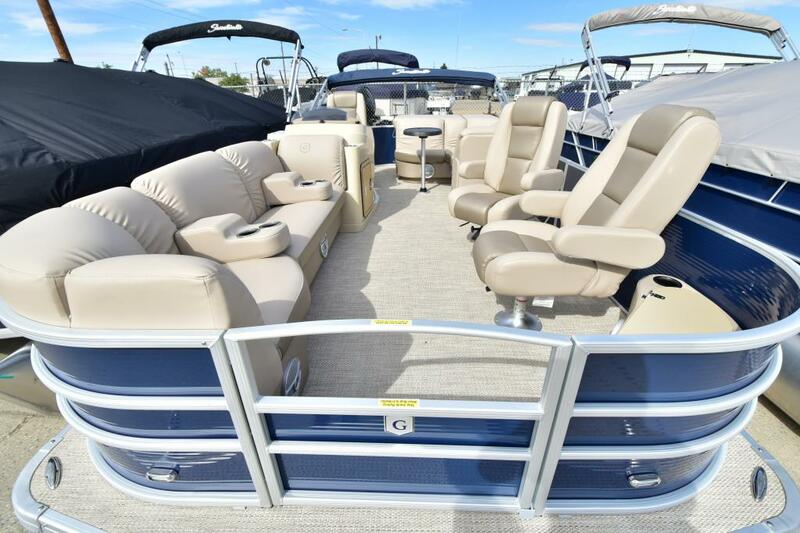 ** $ 22,900.00 ***$179.90 PER MONTH*** ***** LIFETIME HULL WARRANTY ***** ONE TOUGH BOAT! The 2013 1700 Skiff Center Console LOA: 17'8" BEAM: 8' WEIGHT: 2500 LBS INCLUDING TRAILER CAPACITY: 9 PERSONS OR 1800LBS The 1700 SKIFF packs all the fun of boating in one small, low-maintenance package. Throw away the gel-coat cleaners, restorers, polishers, strengtheners and anything else needed to maintain and repair fiberglass. Your 1700 doesn't need them. Ever. What's more the 1700 couldn't be easier to launch and load. Even for one person. With skid-resistant floors and hatches, dual forward storage lockers, roomy cockpit sporting a forward casting platform, aerated baitwell. The only problem you'll have is deciding whether to fish or cruise. •Triumph's molded polymer hulls are five times more impact resistant than fiberglass •Every 2013 Triumph boat comes with a lifetime limited warranty that is transferable, at no charge, anytime within the first five years. •Ropalene floats and we take an extra step to fill our boats with foam. Therefore, Triumph far exceeds the flotation requirements of the U.S. Coast Guard •Triumph hulls are made with Ropalene, a virtually indestructible molded polymer designed to deliver strength, safety and a lifetime of enjoyment. •Triumph hulls absorb both engine noise and wave impact, delivering an astonishingly quiet ride. •Triumph's shock-absorbing hulls reduce bone-jarring wave chop into exceptionally smooth cruising. •Triumph boats never need waxing, polishing or gel-coat touch-ups. A quick rinse usually does the trick •Triumph hulls are a monolithic double-wall of nautical armor that no glued-together hull could hope to match. 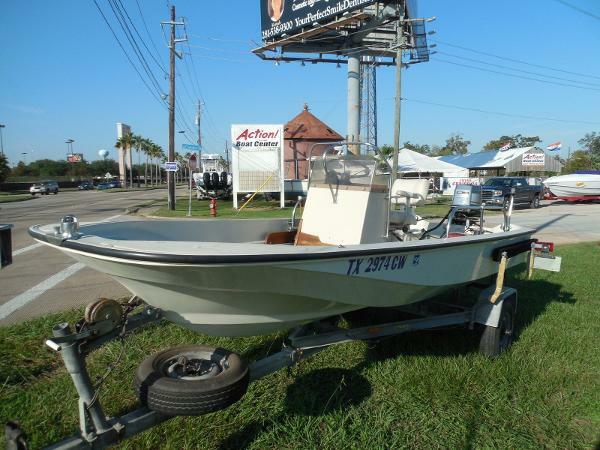 •Impervious to saltwater, sunlight and humidity, a Triumph keeps its new-boat appearance through decades of heavy use. Fading? Blistering? Spider cracks? Never. All new 2013 Triumph 1700 Skiff Center Console. Packaged with the best engines in the World! 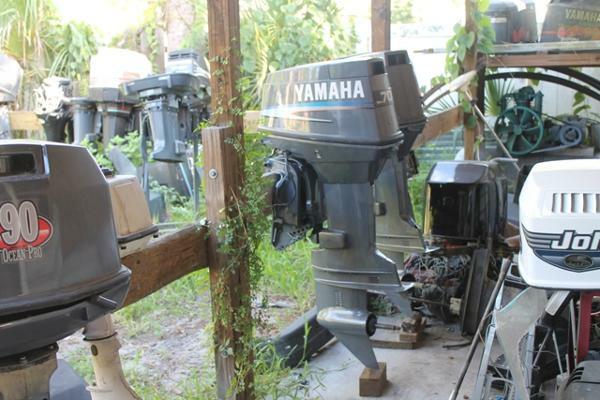 The Yamaha 70 hp four stroke outboards!. •Easy to trailer! • Fuel efficient! • Fun to use! •Unsinkable! •Lifetime hull warranty! Give us a call. 714-635-2628 The Boat House of Anaheim www.boathouseofanaheim.com Great Financing Available! *Sales tax, DMV, Freight, Prep excluded in sale price. 2012 Express H51 with 70hp 17' Silver with grey carpet and charcoal seats. Minnkota Edge 45lb. thrust 12 volt trolling motor, huge rear livewell, 2 batteries and built in dual bank charger. Plenty of power with this Yamaha 70hp EFI 4 stroke motor with a SS prop. BT trailer with alloy wheels. 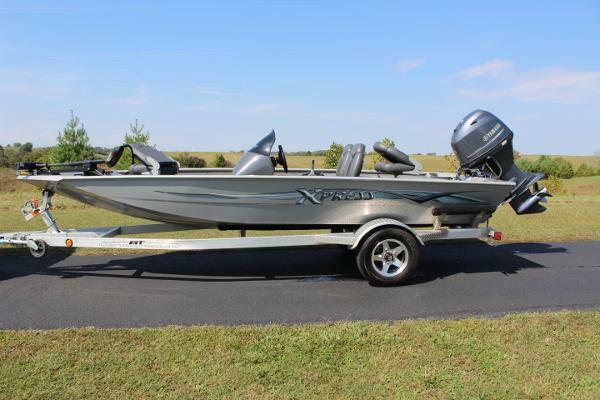 Great fishing boat with the right options and motor! Length is 17' beam is 6'6" and person capacity is 4.